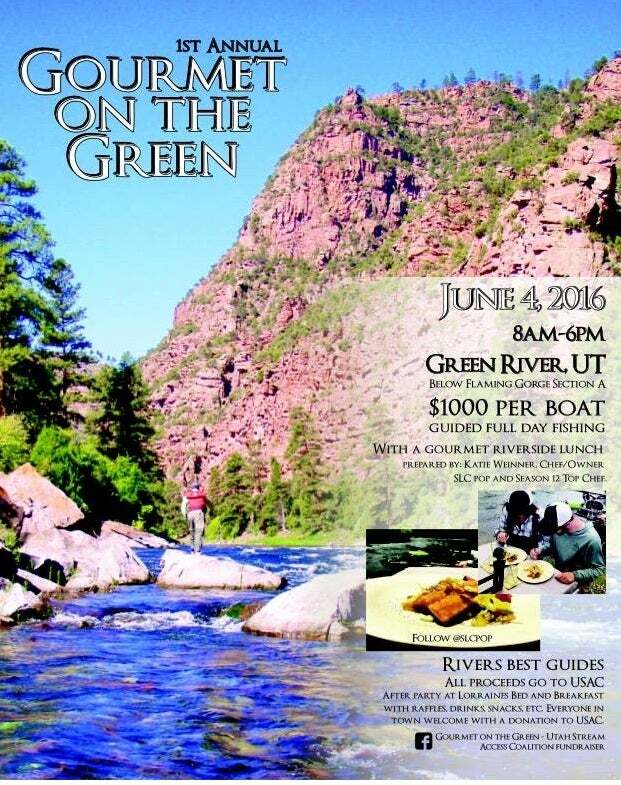 "Gourmet Float" with top Green River guides, local chefs, fly fishing companies, and other UT business' sympathetic to the cause of stream access for all. We will float and fish, throwing gourmet dry flies to rising trout before pulling into a gourmet lunch, prepared riverside, by Chef Katie Weinner from slcpop.com and Top Chef season 12. This is not going to be your standard guide lunch! After lunch, we will get back into the drift boats and fish until evening. The cost per boat (2 people per boat) will be $1000 and all proceeds including any guide tips will go to USAC. In addition to raising money for the legal battle, we are hoping to raise awareness on the issue of stream access.